Looking for places to go for Halloween? From haunted hotels to spooky sights, we’ve got seven of the world’s spookiest places for your consideration. A major highlight in the American calendar, All Hallows Eve has grown in popularity across the globe over the years, with bigger and better attractions built with your worst nightmares in mind. The origins of Halloween lie in the ancient Celtic festival of Samhain, when bonfires were lit to ward off evil. Over time it’s evolved into the light-hearted community tradition we know today, with fancy dress and trick or treating activities prepared weeks before the main event. From late night theme park openings to haunted hotels, you don’t have to hunt far for the supernatural or the blood-curdlingly scary. In the spirit of Halloween festivities, here are seven places to visit for a heart-pounding encounter. The bright lights of London may not seem a likely place for a scary encounter, but with the bright lights come dark corners. 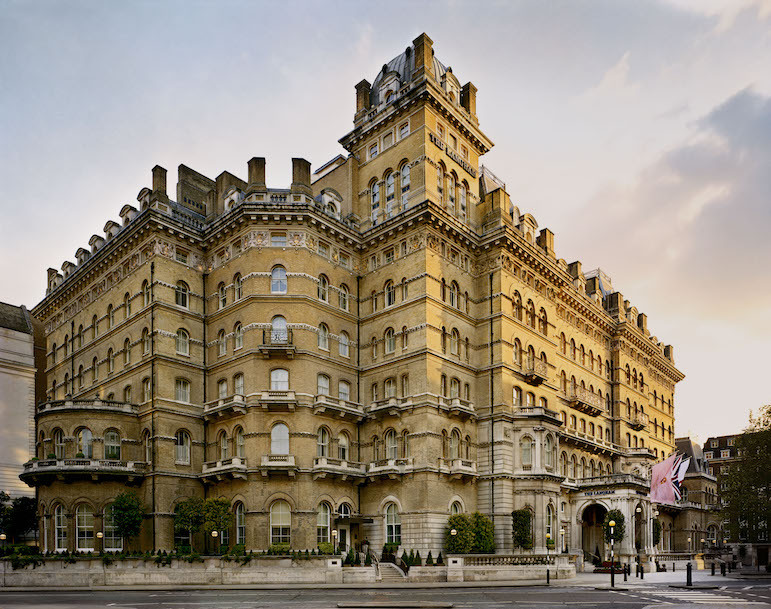 There are many ways to enjoy Halloween in London, but according to legend you should check into room 333 of the 150-year-old Langham Hotel for a real chilling encounter. From a Victorian man to a German prince, the numerous tales of ghostly encounters in Room 333 have crowned it the most haunted hotel room in London. Check in and feel the chill – compare prices at the Langham Hotel. We have written extensively about the wonderful things to see and do in Ras Al Khaimah for luxury travellers, but this state in the United Arab Emirates also offers up some eerie encounters. 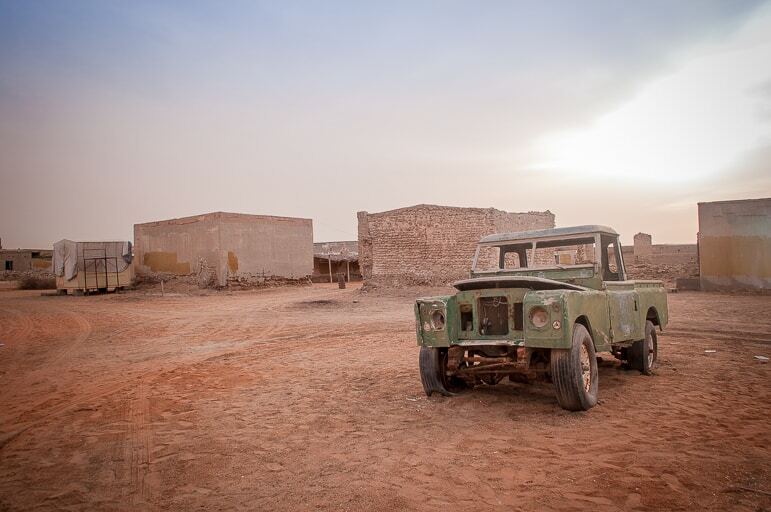 The ghost town of Jazirat Al Hamra is a fascinating collection of deserted dwellings. Uninhabited since 1968 when the local Zaab tribe abandoned the town for a better life elsewhere, a wander around this spookily quiet enclave will get your heart racing. While there are no guarantees of the appearance of ghouls, as you take in its school, grocery shop, homes and abandoned vehicles, it’s hard to believe the locals weren’t running away from something. 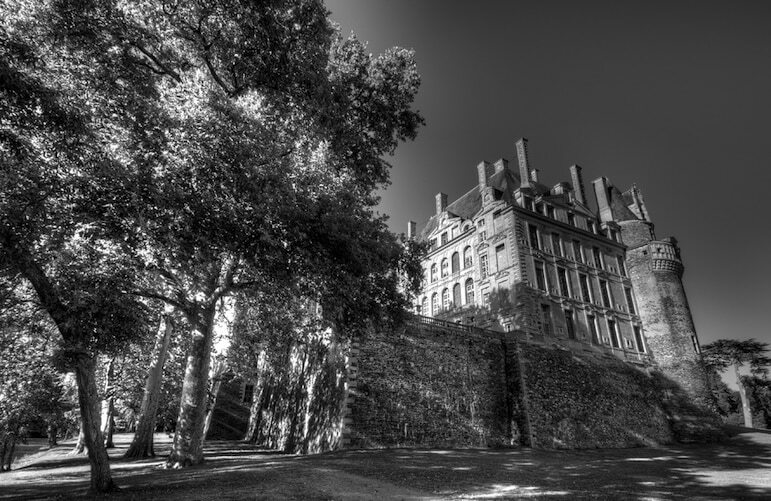 Château de Brissac is set against the serene backdrop of the Loire Valley, but looks can be deceiving. Within the turrets and magnificent facade lie some gruesome tales. In the 15th century a nobleman is believed to have murdered his wife and her lover and the frightful cries of their trapped souls echo around the castle to this day. His wife, La Dame Verte, or the Green Lady, is the most active of the spirits, often seen in the tower room of the chapel. Wearing her green dress, visitors report seeing holes where her eyes and nose should be – which is enough to have you running for the hills of the Loire Valley. 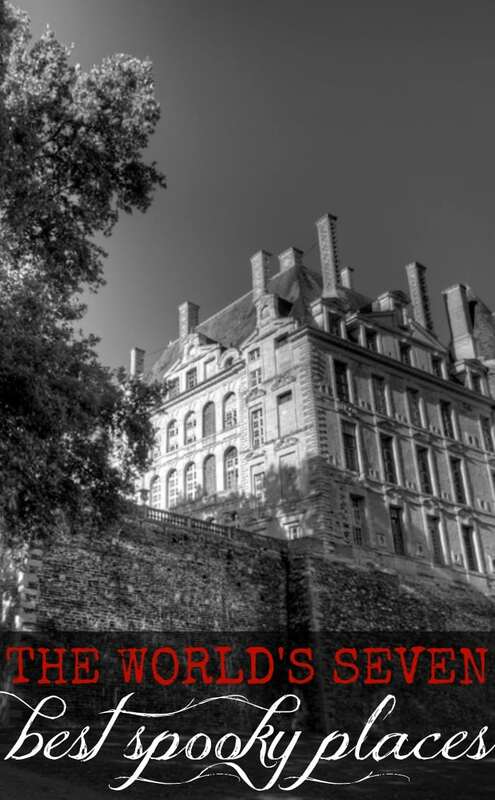 Have a haunting time – compare hotel prices at Château de Brissace. Built in 1829, this prison was one of the first to introduce solitary confinement, but the harsh approach was abandoned in 1913 as it would drive prisoners insane. 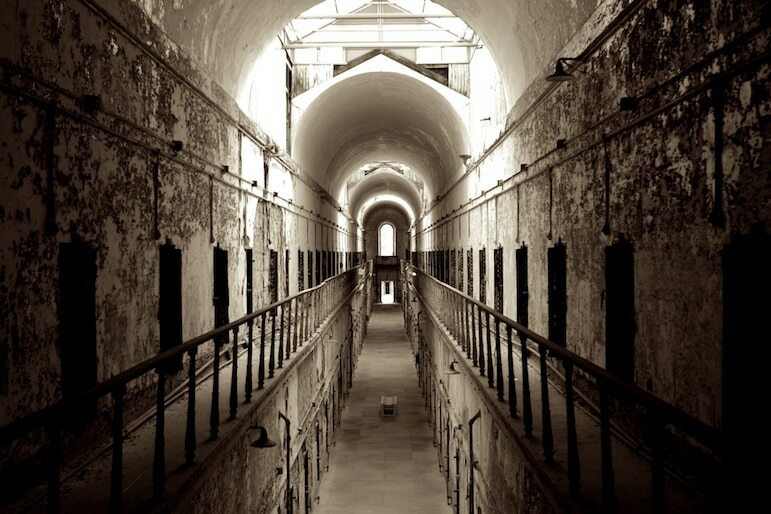 Although there has been paranormal activity there since the 1940s, sightings have become more frequent since the prison was abandoned in 1971. There have been reports of evil cackling in cell block 12, ghostly faces in cell block 4 and shadowy figures sliding down the walls in cell block 6 – not somewhere you would want to be holed up for the night. Demand for burial space was high at the ossuary, in the city of Kutná Hora, in the 13th century and this situation continued through to the 19th century. 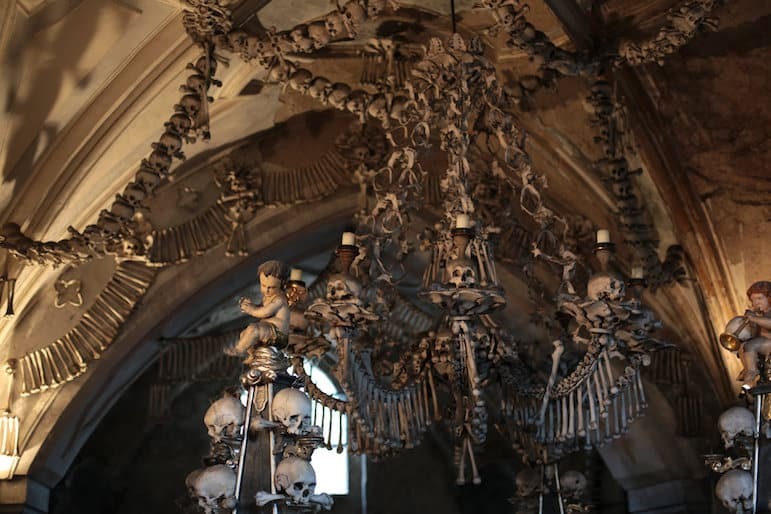 Priests decided to get inventive with the skeletons of the long deceased and drafted in a Czech woodcarver to craft them into decorations for the chapel. Believed to contain the remains of up to 70,000 people, it is an extremely creepy sight. Look out for the imposing chandelier built by the extremely talented carver, using every bone of the human body. Compare hotel prices in Kutná Hora. 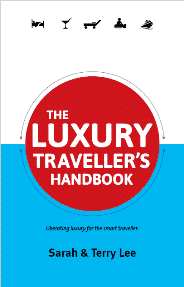 Book a road trip with a difference and travel these seven miles of winding countryside. It may sound idyllic but there are many myths and legends associated with the lakeside road which remain unsolved. With pillars of mist appearing over Ghost Lake, travellers along the Shades of Death Road claim to have seen the dead walking in the mist. Some believe they’re the bodies of native American tribes, who were killed by early settlers and thrown into the lake. Don’t let the picturesque appearance of this hotel fool you. Banff Springs Hotel was built over 125 years ago by the Canadian Pacific Railway as a luxury hotel stop off but with spooky sightings it’s surely one of the best places to go for Halloween. A bride is believed to have fallen down the staircase here and broken her neck after her dress caught fire. Today, her apparition can allegedly be seen on the staircase and dancing in the ballroom, with flames licking off the back of her dress. Meanwhile room 873 in the hotel has been bricked up following the tragic murder of a family. Despite the room being bricked up, the ghost family are said to appear in the hallway outside the room. There’s also thought to be the ghost of the hotel’s former bellman, Sam Macauley, who worked there in the 1960s and 1970s and can apparently still be seen to this day helping guests to their rooms, unlocking doors and turning on lights. However, if you try to tip Sam or make conversation he vanishes from sight. 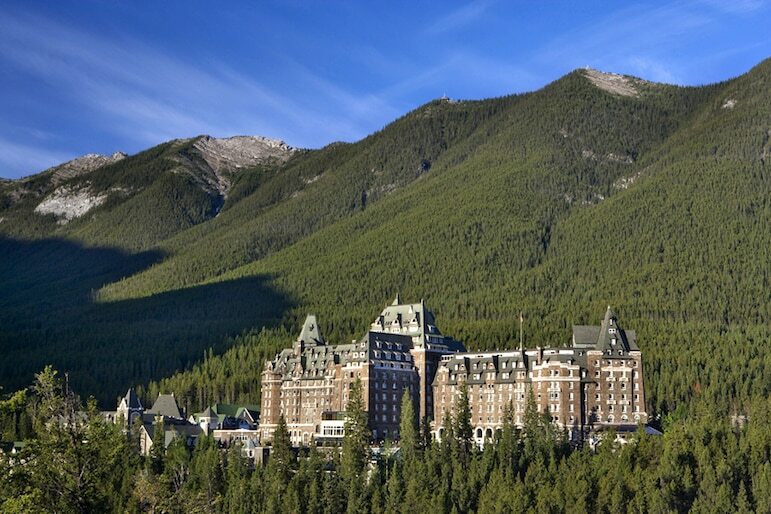 Experience frightfully good service – compare rates at the Banff Springs Hotel. 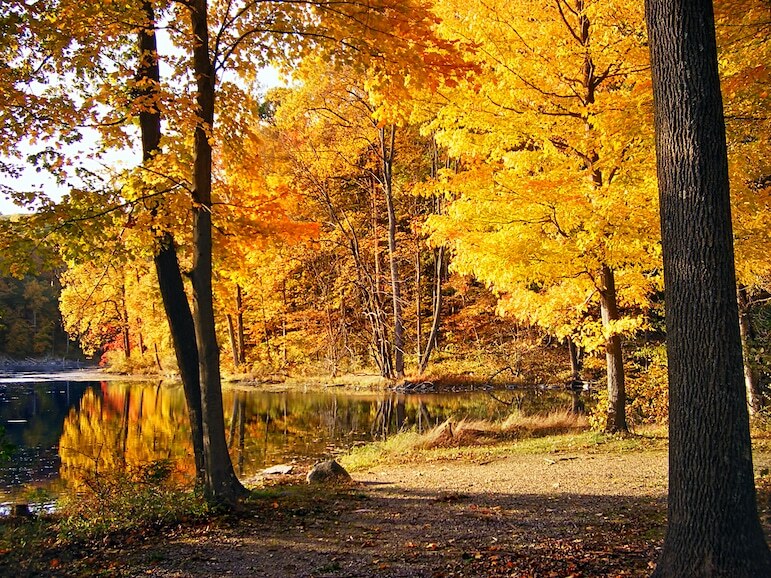 Have you visited one of our places to go for Halloween? What was your experience there? Or have you experienced something spooky or strange on your travels? Share your haunting Halloween story with us below.